Morale is the enthusiasm of a person at a particular time. I relate this to the workplace and I know this is the only thing that gets someone going. Last Thursday, there was a full team meeting at my workplace and somethings happened that make me think how do we make everyone on the team happy? One of the leaders of the team went beyond to recognize a team member of a track of just 2 people. I felt good about it, as she was on my team and was getting recognized for all the good work. I could clearly see my efforts being paid off. But, what I failed to look into that the other team member was getting ignored. She has done all that is needed to do to make the project a success. For me she has been a very key member of the team and without her on the team, I would not have delivered the great work. In my mind this was clear, but she was looking for some appreciation from other folks as well. When I put myself in her shoes, I find how right is she? When I was at her place a couple of years back that is exactly how I was structuring my thoughts. Very interestingly, I start to think about my whole team and see how can I make them a success in their own worlds. Success to everyone would mean differently. For this member it is a simple recognition by a leader, an acknowledgment by someone other than just me. For others it can be monitory and for someone else it can be something else. Just to be able to understand every one’s dreams and give them the right recognition when they do a good job is a difficult task. Morale, now becomes a vital factor in their growth. How they think/feel/perform is directly proportionate to how I would handle their expectations. I think it all boils down to keep them self-motivated. To give them new challenges that they can take to the next level. The fact that I need to keep my every team member motivated, is a motivation for me. 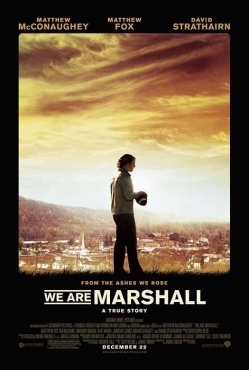 Also comes to mind some of my favorite movies from – “Remember the Titans”, “Miracle”, “We are Marshall” come to mind and how the teams who had struggled to deliver anything became the best. It was not just about the coach who led these team; but it was more about the players in the team and how they brought it all together. Previous Previous post: Mayan predictions for 2012 – What is it exactly?